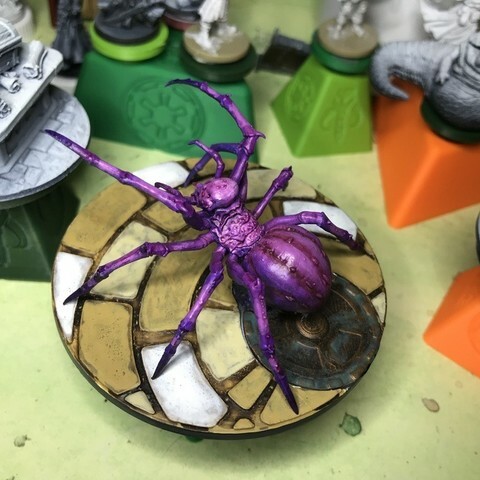 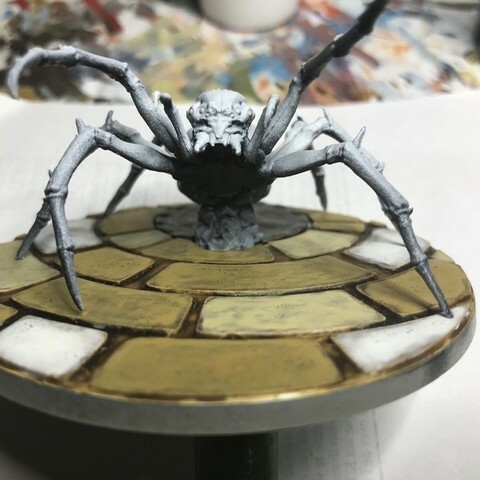 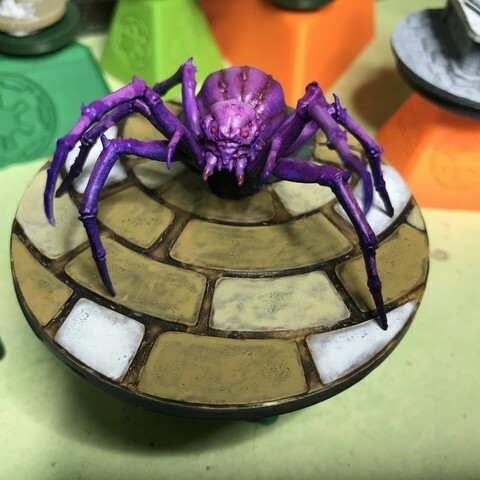 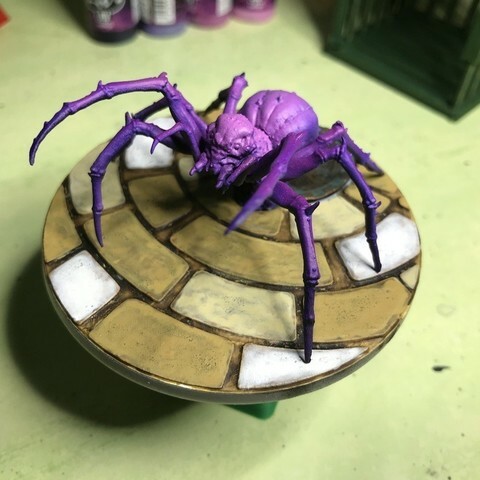 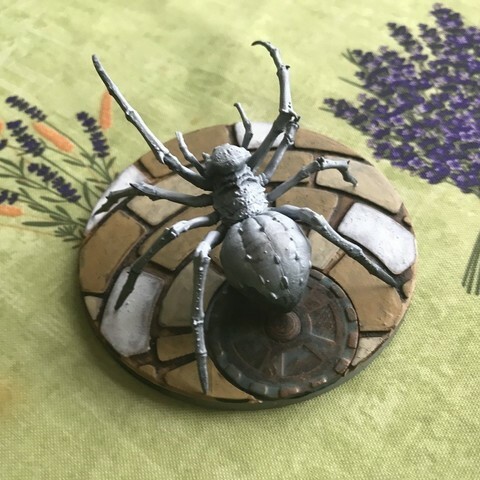 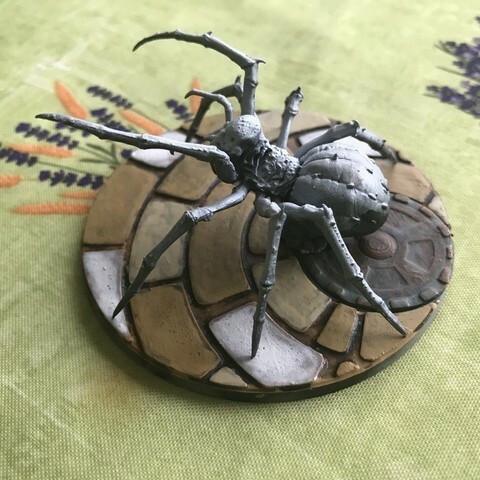 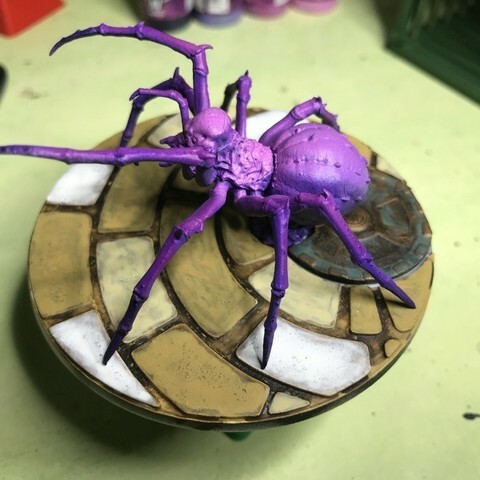 Remixed this into a textured base for the massive darkness spider. 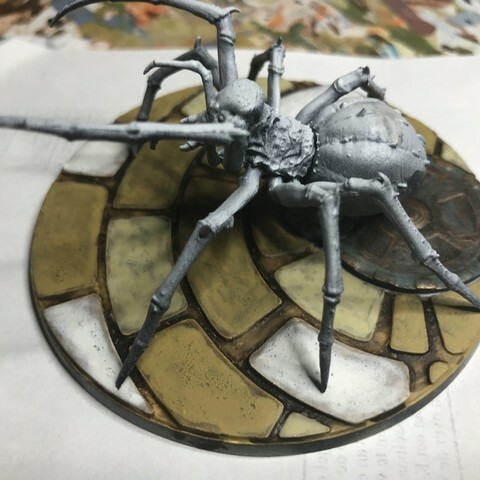 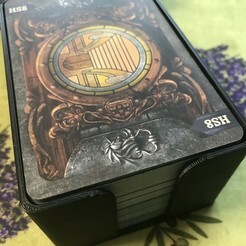 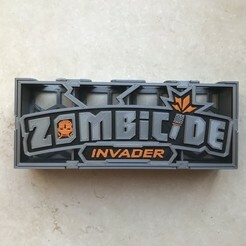 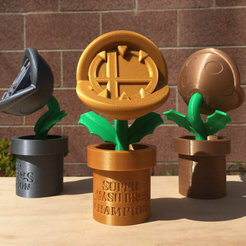 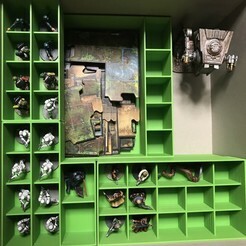 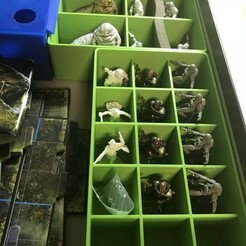 You will need to remove the spider from the base. 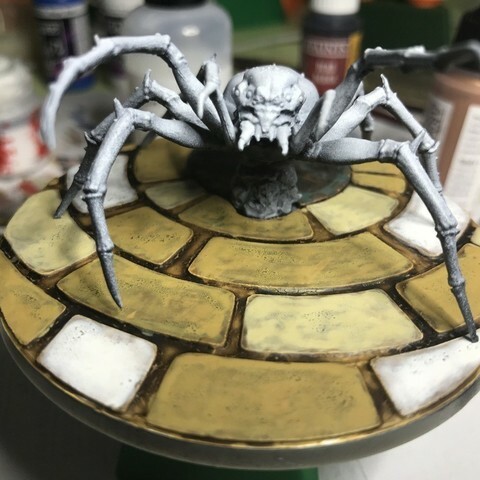 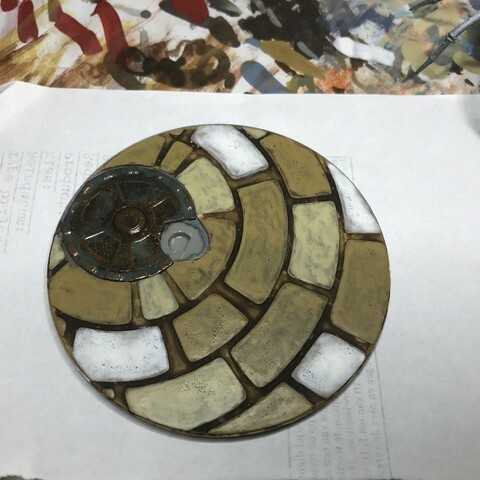 Glue the texture to the base and glue the spider back on. 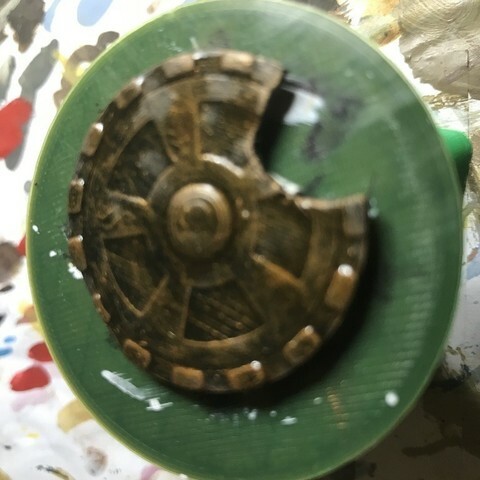 I made a hole in the texture to use the original mount point.